How many people visit Pukete each year? 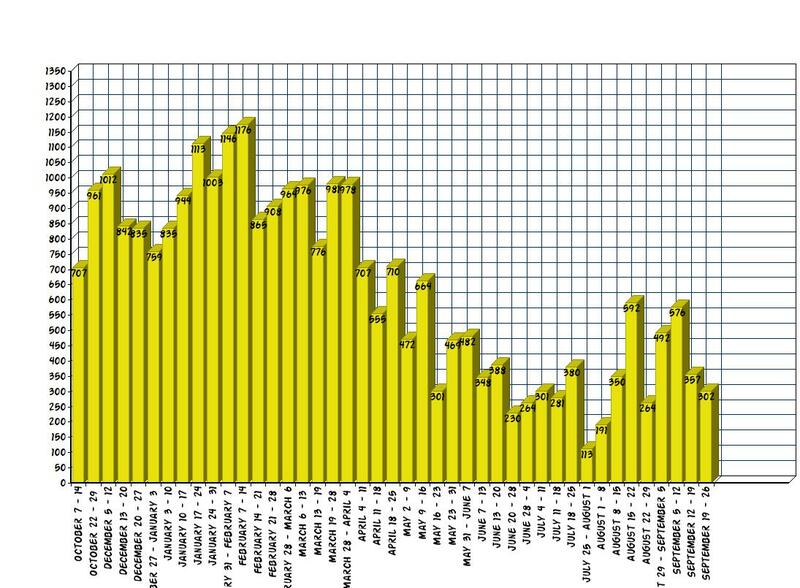 Here’s some interesting info – This graph represents the last years’ worth of rider stats from Pukete. We have a bike counter permanently installed at a secret spot out on the trail that tracks how many laps are ridden. Keep in mind that this does not account for riders that might only ride half the track, and races and events where riders complete multiple laps are counted too – Regardless, it shows just how busy our track is! Posted in club, News and tagged bike, pukete, riders, stats.